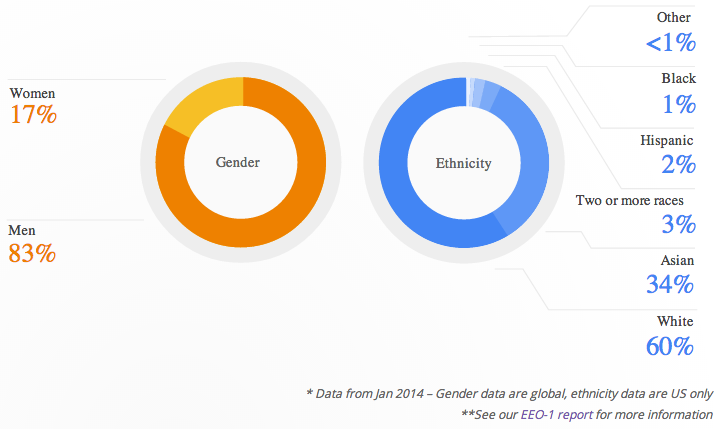 Insightful diversity breakdown of the Google workforce. Would be interesting to know how its Silicon Valley neighbors compare. After tip-toeing around the makeup of its workforce for a while, Google (s goog) released a blog post Wednesday afternoon that gave a breakdown of the company’s diversity in both gender and ethnicity. 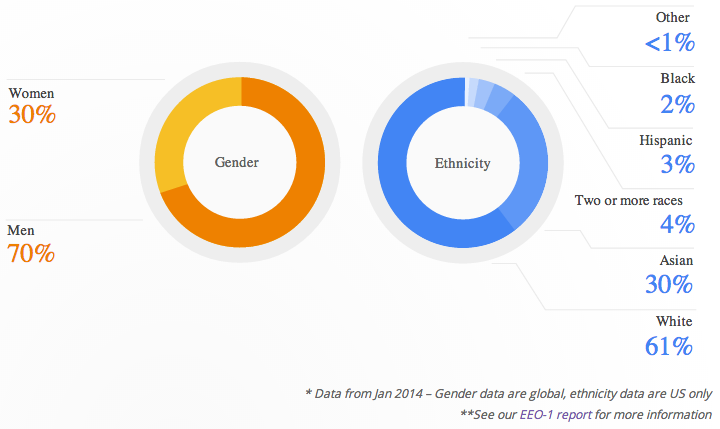 Collected from data gathered in January of 2014, the employee base of Google is predominantly white and male (61 percent and 70 percent, respectively), with nearly a third of employees identifying as Asian. But the biggest disparities, perhaps unsurprisingly, are in the company’s tech employees. Women don’t even make up a fifth of the company’s tech workforce — representing just 17 percent. Next Next post: SOX for Snowden?